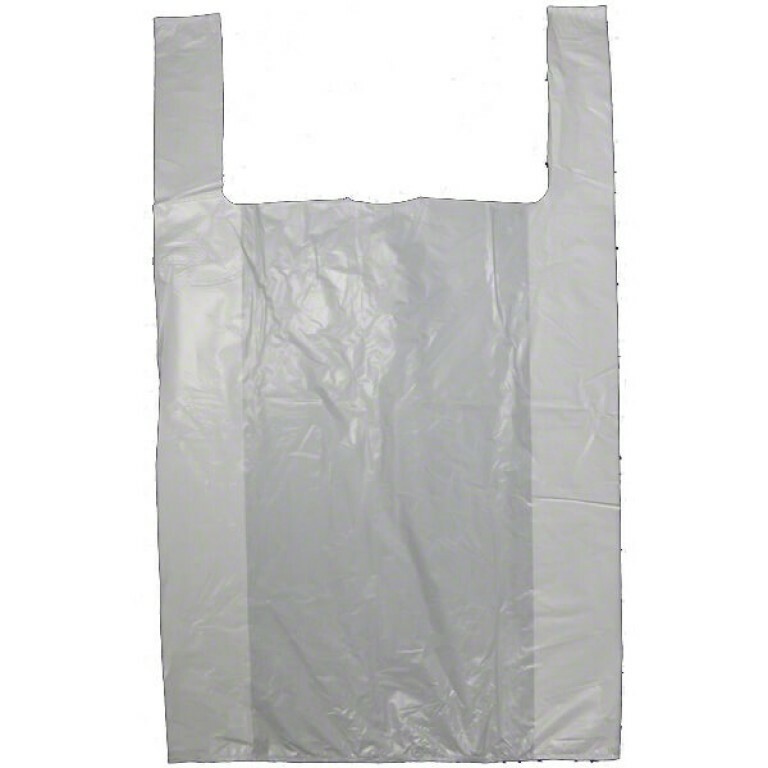 Vest style carrier bag in white high density polyethylene. 450 mm x 625 mm x 750mm (18" x 25" x 30"). 20 micron.